AOKANG’s smart store is equipped with multiple smart devices to provide a modern and smart shopping experience for customers. The smart cloud wardrobe links offline stores and online distribution. C2M customized area can measure customers’ foot shape accurately in 3D in 15 seconds. Cameras can monitor customer flow and capture their consumption behavior and gestures. China e-commerce platform JD set up a 3-day all-scenario pop-up store “JD Fashion Space” in Sanlitun Taikooli in Beijing. Eight zones include magic wardrobe, interactive experience zone, intelligent technology zone, science and technology area, KOL live broadcasting area and so on. The store links online and offline shopping scenarios and provides new ways for data and AI to empower fashion brands. Lily new retail smart store was officially opened in Shanghai. It is equipped with facial recognition system, RFID system, smart fitting mirror, time-lapse photo interactive space, and Lily Lab featuring customized experience. Chinese e-commerce platform TMall set up an “Ideal Capsule” pop-up store in Beijing Chaoyang Joy City. The store is equipped with facial recognition, AR interactive cameras, cloud wardrobe, AR fitting mirrors and so on. 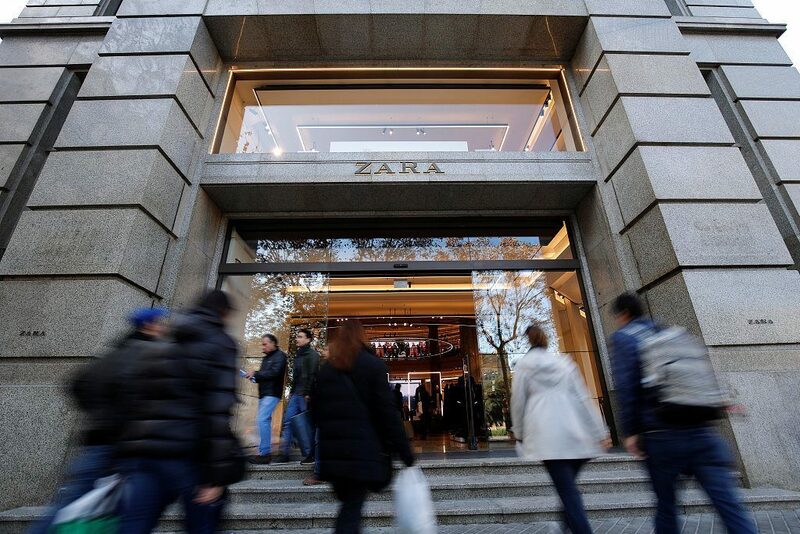 To quickly adapt to the increasing speed of fashion retail industry, Zara’s parent company, Inditex set up a special innovation department and started collaborating with a number of technology companies. For example, Inditex collaborated with Fetch Robotics (a Robot Company in California) to test replacing human beings with robots in inventory management. Inditex also works with Intel to develop machines that can quickly detect the quantities of clothing in packages. Hermès, once again, opened a short-term WeChat experience store. Hermès also released a video with the theme of “A Selection Game on Silk Scarf Colors”, to attract young fashion groups to purchase 12 styles of SS2018 silk scarf products through WeChat experience store. Hublot launched a new digital flagship store, Digital Boutique. Users can reserve online conversation through Hublot website. After users signing in, the sales team in New York flagship store will provide services. In addition to traditional video conversation, the sales team can provide 3D animation, introduction videos and ultra-high-resolution photos to showcase product details. The fashion technology start-up company based in Shanghai, TheLook provides women with new ways of shopping. Customers can input their “style profile” through WeChat mini-program including information on height, style, brand preferences and so on. Then they will receive personalized styling advice and 5 pieces of clothing recommended by TheLook regularly. Customers can try at home before making purchases. TheLook raised millions of US dollars in Series A financing recently. The media marketing management company FX Group collaborated with the technology company Mayatar to provide customers access to purchase red-carpet styling items directly. The service is based on Mayatar’s mCart decentralized marketplace technology. With the joint function of optimized content, block chain and AI technology on mCart platform, brands, opinion leaders and consumers’ behavior in various sections become transparent. 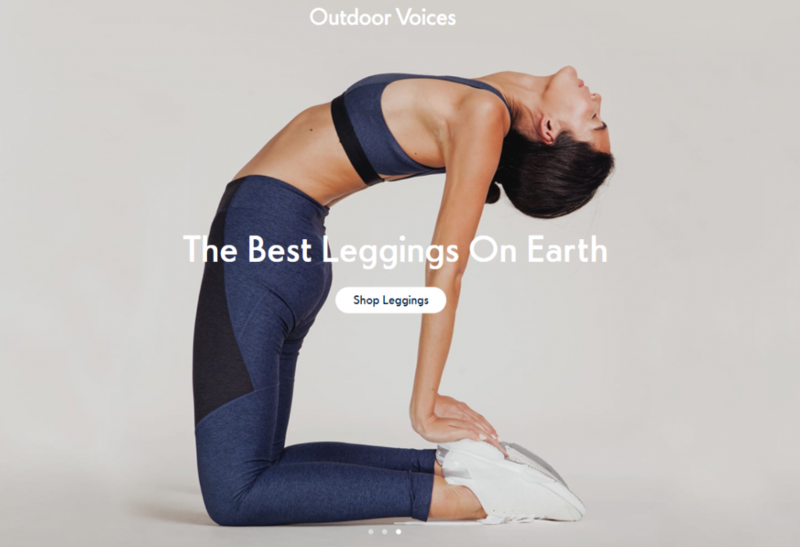 American internet sports brand Outdoor Voices launched an app named “OV Trail Shop”. The AR function in the APP encourage uses to do more outdoor sports. For example, only when users jog to a designated location, they can view new arrivals on AR online store. Laneige (兰芝) collaborated with Tencent (腾讯) on AR Interactive games. Consumers can scan through mobile phone APP QQ (developed by Tencent) and do a heart pose to the camera. Then the phone will show a heart and play the new cushion skincare product promotion video featuring the pop star Weizhou Xu. Professional beauty and makeup smart service platform MEITUMEIZHUANG launched an “AI skin-testing week” event. Through photos, users can test their skin and generate skin condition reports. Based on this, the platform will provide users with customized product recommendation and related skin management solutions. French technology start-up company, Universal Reward Protocol, developed the URP platform based on block chain technology. All retailers using this platform can give rewards to consumers with any forms of shopping online and offline. Brands can evaluate the effectiveness of marketing strategies and make adjustments. With the data collected, brands can provide more personalized shopping experience and marketing strategies in the future. Personalized shopping alert to elevate the interaction between customers and websites. Based on small events (e.g., sales and new arrivals) on e-commerce websites, Myalerts Inc, the e-Commerce marketing platform, delivers information to customers as a personalized shopping alert, based on their shopping history and needs. Myalerts turns these small events to personalized micro marketing activities and collects customers’ feedback to help brand understand customers’ shopping intention. Blackwood Seven is an AI-driven software platform. The platform track customers’ historical marketing expenses, sales impact and extensive exogenous parameters to understand the effectiveness of specific marketing channels and to measure ROI based on the customer’s KPI target. Blackwood Seven’s clients include: Volkswagen, eBay and so on. 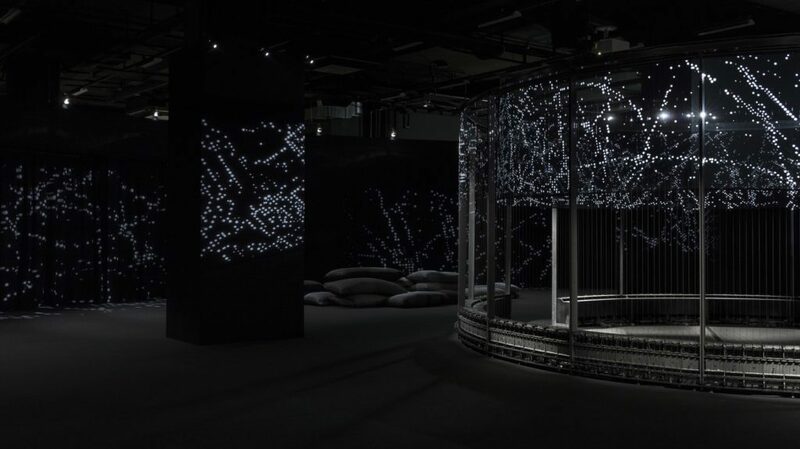 As the 4th Audemars Piguet Art Commission, the visual and acoustic installation artwork “HALO” was exhibited at Art Basel 2018. Created by the art duo Semiconductor, HALO surrounds visitors with millions of data points collected by the world’s largest and most powerful experiment, the Large Hadron Collider and creates a fantasy star glazing visual phenomenon for visitors. Smart Jewelry brand Totwoo released 5 collections of smart jewelry products in New York and presented the technology named Virtual Human Jewelry. This technology allows users to interact with the virtual human companion in the jewelry through the AR camera in mobile phones. Italian fashion start-up company Kloters will soon launch a smart T-shirt, RepAir. The T-shirt can clean up air contaminants around the wearer. Each piece of clothing has the ability to clean up the pollutants produced by two cars. Japan textile giant Toray launched high-tech clothing R&D laboratory, Technorama GIII. This climate simulation laboratory is equipped with action capture devices with action analysis system, 3D body scanner, wireless thermometer, wireless hygrometer, heart, lung ECG and perspiration measurement and other devices. The technology start-up company, Arianee will use block chain technology to track luxury goods with serial numbers, to record the information of authenticity and ownership change, and to provide highly credible digital certificate for luxury goods. More than 3 luxury brands have had trial collaboration with Arianee, including high-end Swiss watch brand, Vacheron Constantin. The Vancouver investment company and the block chain incubator, Global Blockchain has cooperated with HPE, the enterprise hardware and service supplier under Hewlett-Packard, to establish a storage platform, Stratus Marketplace. In the fashion industry, Stratus is usually applied in the “certification” field. INSEAD announced to build alliance with Luxury Tech Fund (France). 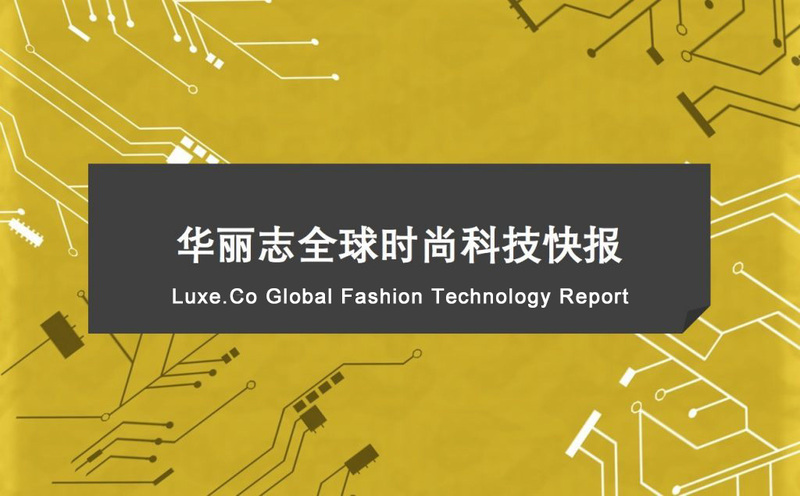 Both parties will leverage on their strengths to explore ways boosting innovation in the luxury industry with digital technology and to accelerate the creation of “unicorn” enterprises that serve the luxury industry. Digital platform Lenspire aims to streamline workflow through unified and centralized communication and automated task management (such as payment and credit records), to solve the inefficiency problems in the workflow of the creative industries, including media, fashion, advertisement and film. Please send us the fashion technology and innovation that you are interested in. Contact us at mireya@hualizhi.com.